Adventures in Osaka and more! 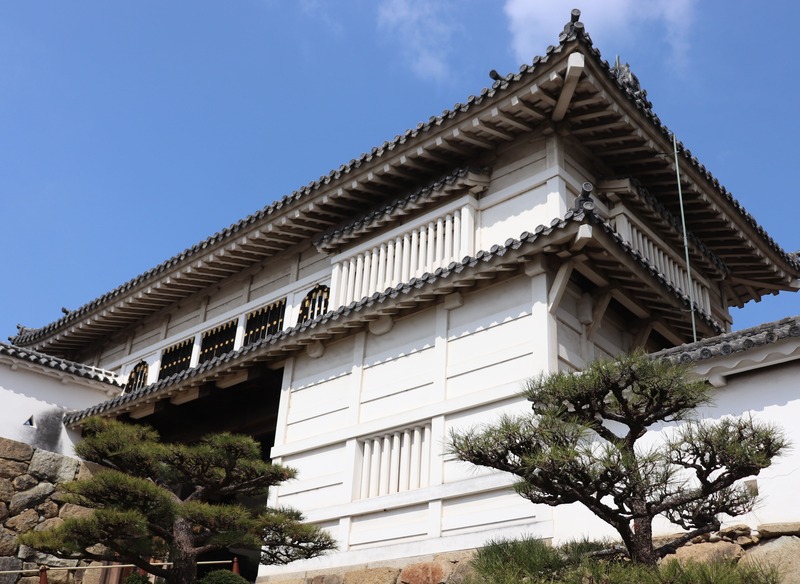 Along with Horyu-ji Temple in Nara, Himeji Castle [姫路城] was one of the first Japanese World Heritage sites. 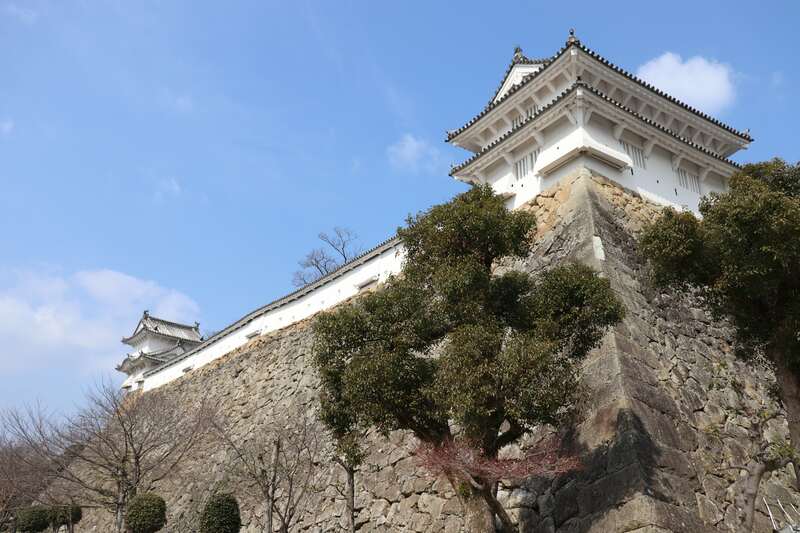 Though this castle is a bit far from central Kansai and takes at least an hour from Osaka, it is well worth the trip. 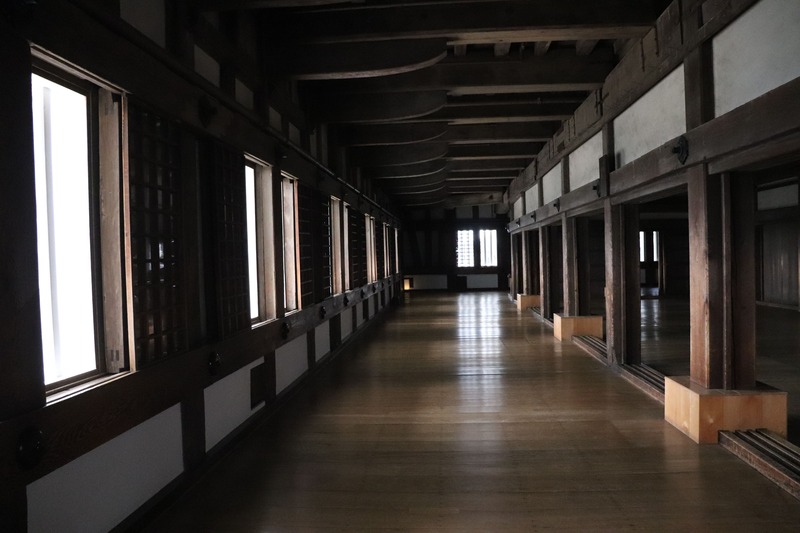 In terms of attractiveness, history and culture, Himeji Castle is one of the best castle in Japan and definitely the top 10 places you should visit when you come to Japan. The current Himeji Castle we see was built in 1609. 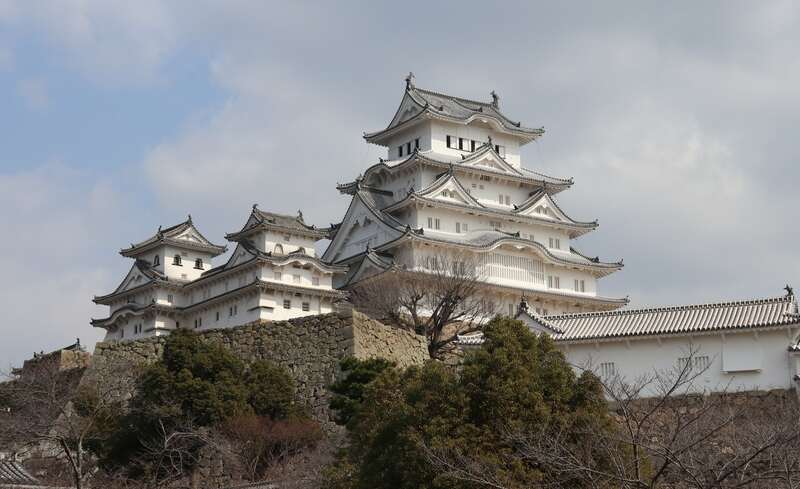 However, Himeji Castle existed a long before that. 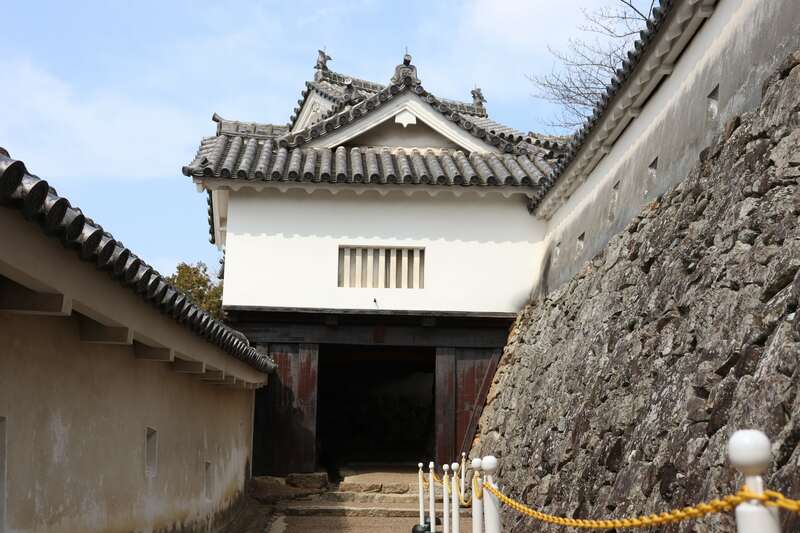 The original Himeji Castle dates back to 1346 when the Akamatsu clan built Himeyama Castle [姫山城] to serve as a fortress in the war between Emperor Godaigo and the Kamakura government. The castle with its keep as we see it today was built by the Kuroda clan in the 16th century though it was a bit smaller version of today’s castle. 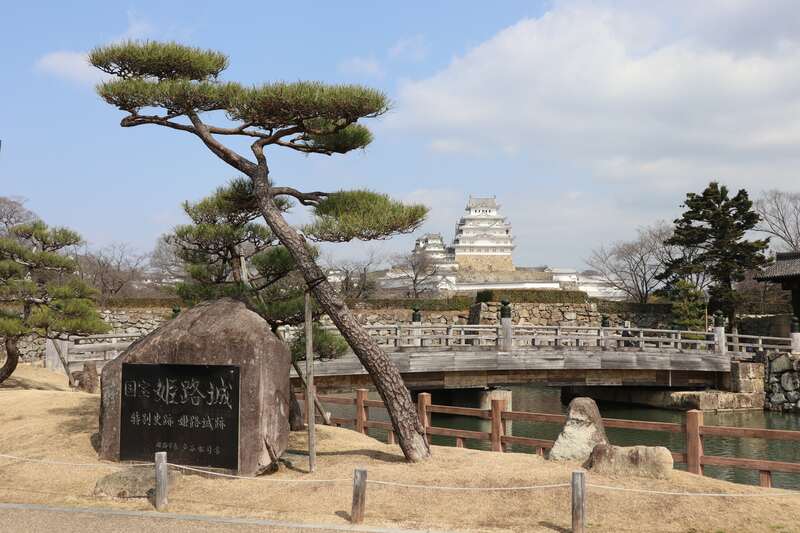 Later, Kuroda clan gave Himeji Castle to Toyotomi Hideyoshi when Hideyoshi became the governor of Himeji. 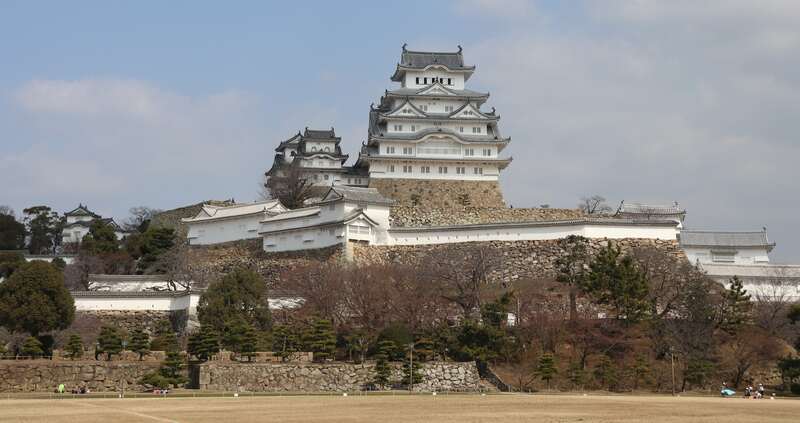 Hideyoshi even lived in Himeji Castle as he planned to expand his territory westward. Stone wall: though the old keep is gone, some of the old stone walls around the castle remain. 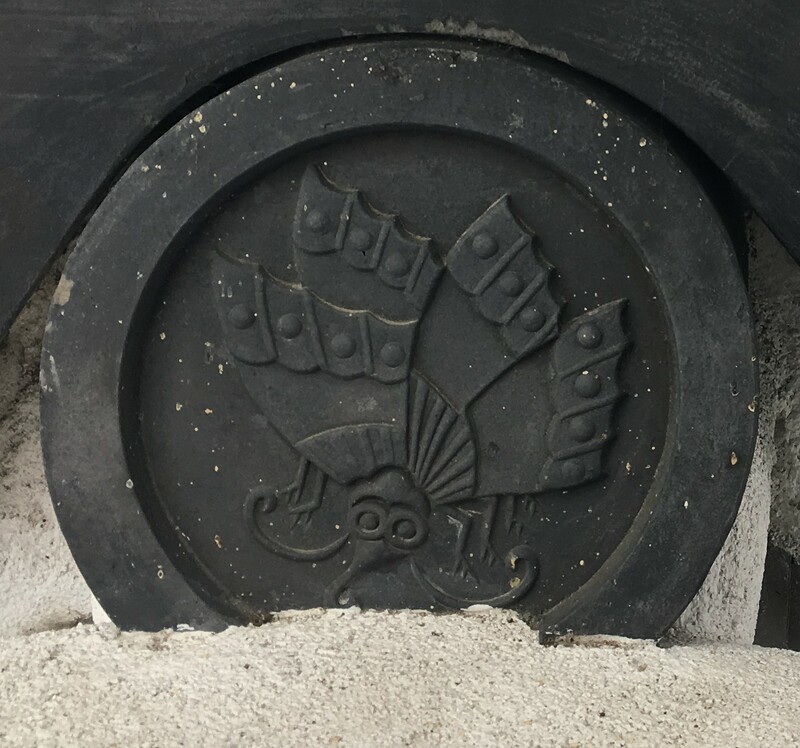 After Hideyoshi died and Tokugawa Ieyasu took over Japan, Ieyasu’s son-in-law, Ikeda Terumasa [池田照正], became the owner of Himeji Castle. 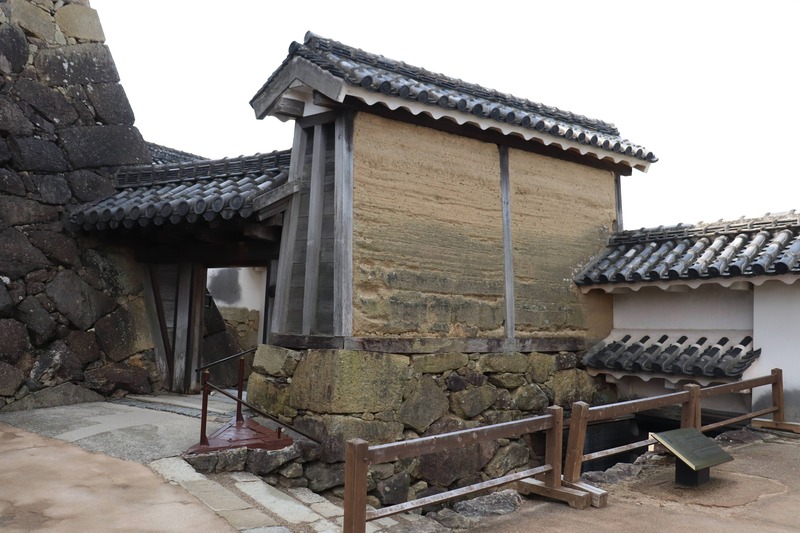 Since Hideyoshi still had many supporters in west Japan, Ikeda Terumasa renovated and rebuilt the castle’s keep in 1609 in order to intimidate those still loyal to the Toyotomi clan. 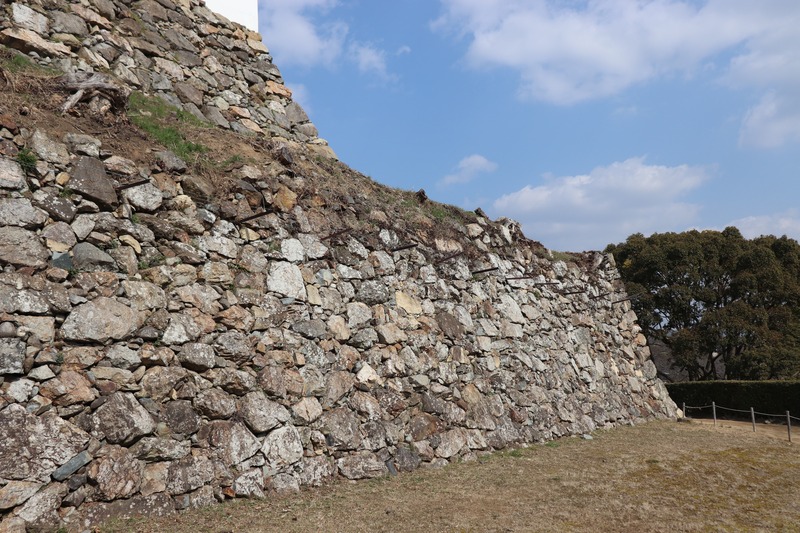 The keep Terumasa made is still intact today — a miracle considering that Himeji City got fire bombed in WWII. The closest station to Himeji Castle is the JR Himeji Station. It is only an hour away from Osaka on the JR special rapid service, the Shinkaisoku. Though this might not sound like it is that far away, it actually is pretty far from Osaka. Because of the distance, the train fare is more than 1,500 yen (around 15 dollars ) one way. If you want to go cheap, you can use the Hanshin/Sanyo Line from Hashin Umeda Station (Osaka). Buy the Hanshin-Sanyo Seaside One Day Ticket (2,000 yen) and it will cover a round trip between Umeda and Himeji. Keep in mind that it takes an hour and forty minutes on the limited express. The limited express to/from Himeji is available every 15 minutes. If you have a JR Pass you can take the Shinkansen from Shin-Osaka. It is only 30 minutes to Himeji on the Hikari. From Himeji Station, you can see the castle is just straight down the road. It only takes 10 minutes on foot. However, if you don’t want to walk, you can take a bus for 100 yen from the station to the castle. *Himeji Castle can be really crowded and sometimes you have to wait an hour or more just to get in the castle. Their website gives you a rough estimate when it is going to be very busy, so if you really want to take your time to enjoy the castle, consider going during the off season. Otemon Gate: the first gate of the castle. Gate rebuilt in 1938. Once you enter this gate, you will see the white gorgeous keep. The keep is 31.5m high. The right next to the keep is a smaller keep and the behind that is another small keep, the Inui Keep. 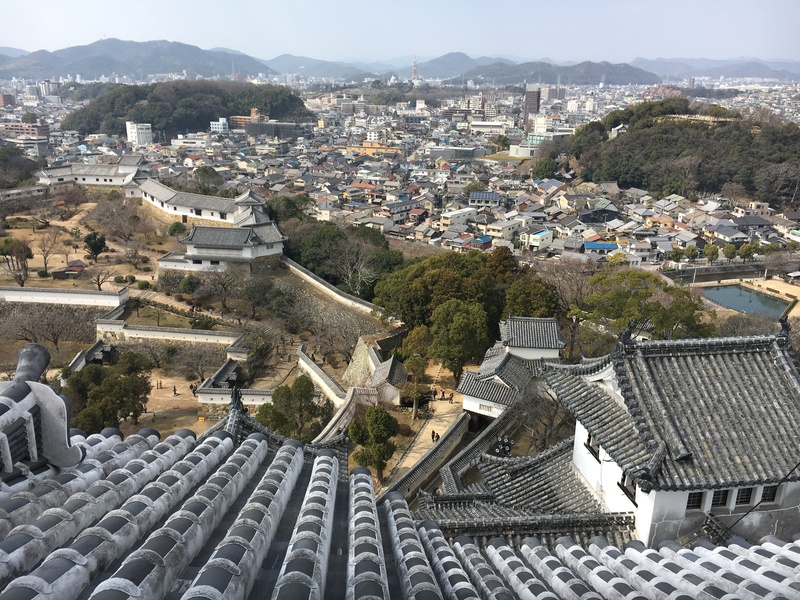 As you can see, the main keep of Himeji Castle is the one located in the middle and appears to have 5 levels but there are actually 7, as 2 levels of the castle are underneath the visible five tiers. The main keep sits behind three smaller keeps that all connect to the main keep, helping fortify the castle. This specific style of castle is called Renritsu Teshukaku [連立天守閣] and there are several those kinds of castles in Japan. 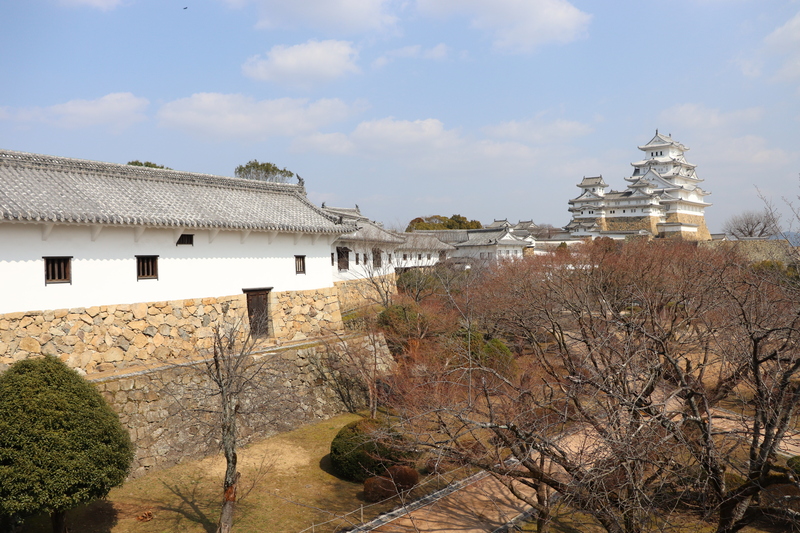 However only Himeji Castle successfully preserves its original construction. 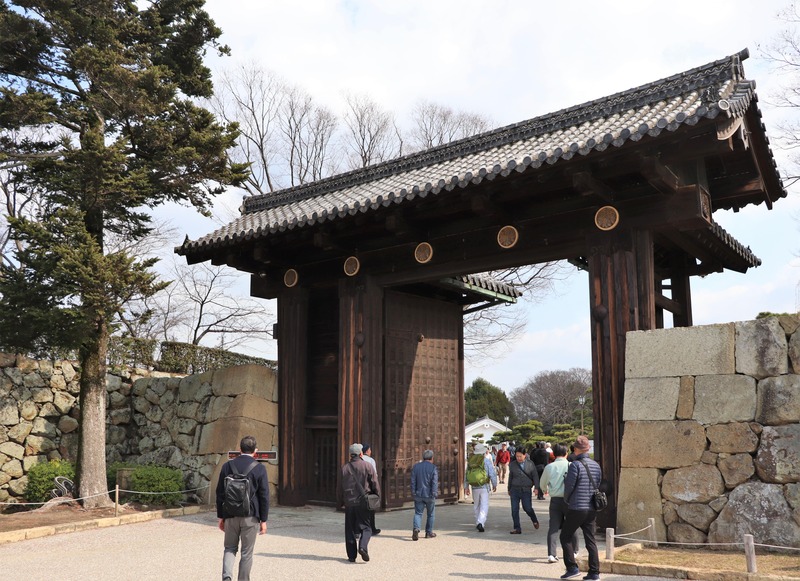 Hishi no Mon: Hishi no Mon is the biggest gate in Himeji Castle built by the Ikeda Clan. From this gate, you will head towards the main keep, but do not make a beeline for the main keep! 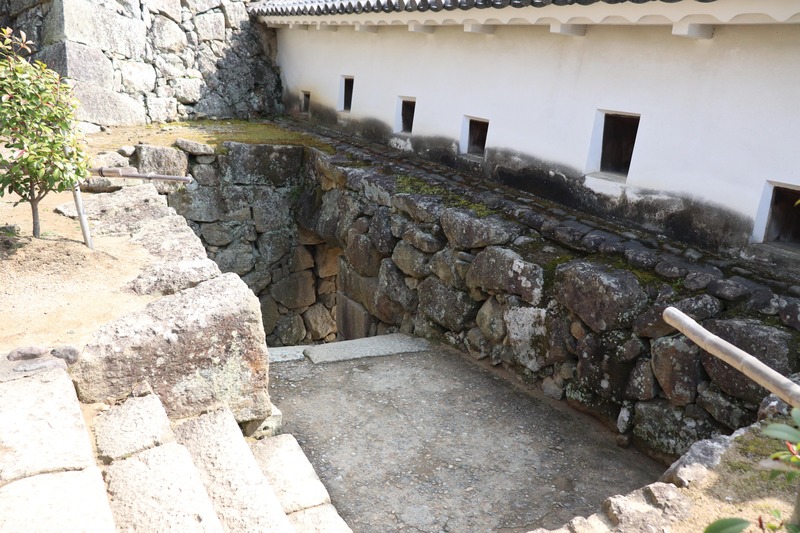 Since Himeji Castle was originally a fortress, there are many interesting traps and fortifications around the castle grounds meant to protect the castle from attacks and invasion. The most immediate thing you will notice as you enter is that the path to the main keep is not straight and you have to go a number of gates. Naturally, these are first lines of defense for the castle. 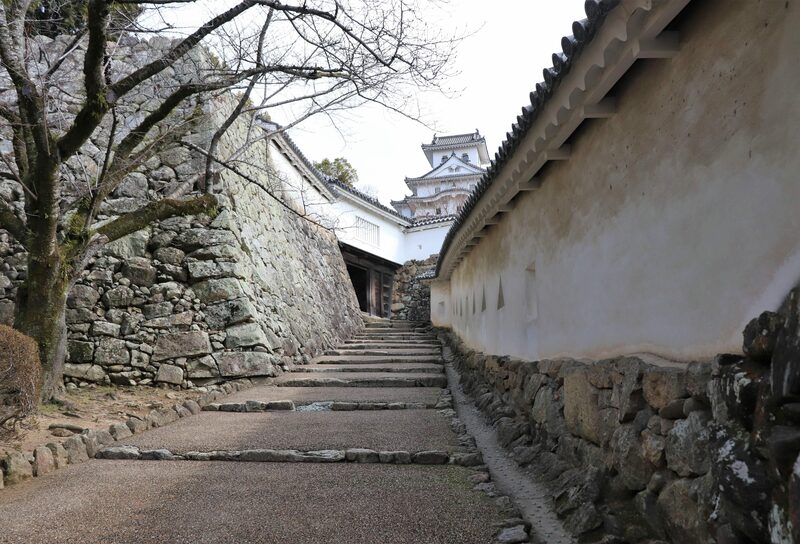 The winding paths would be difficult for armed soldiers to easily progress through, and the various gate would have been guarded by archers/marksmen and booby-traps. 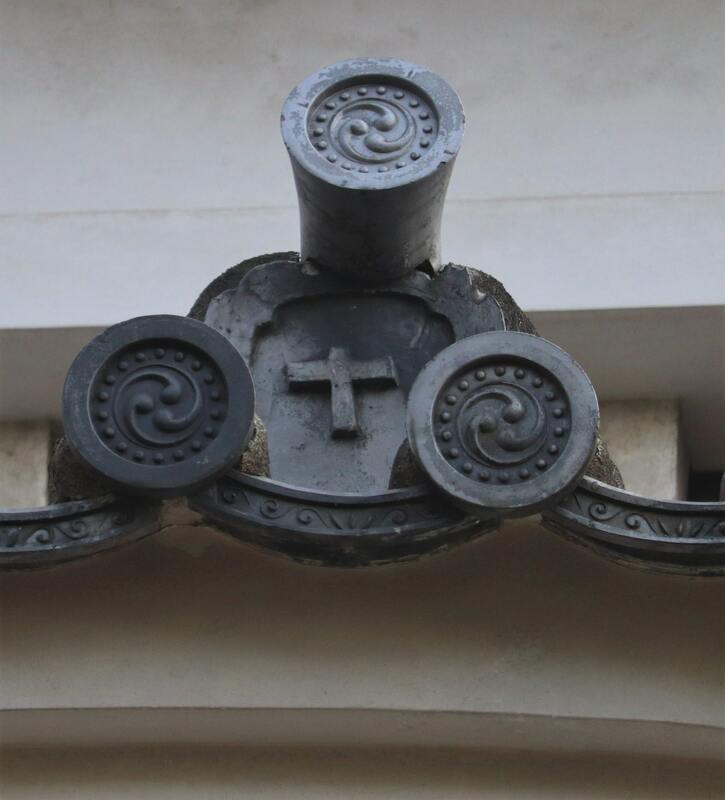 These holes are for archers and other marksmen. A low hanging gate like this makes hard for people with guns and swords to pass through. 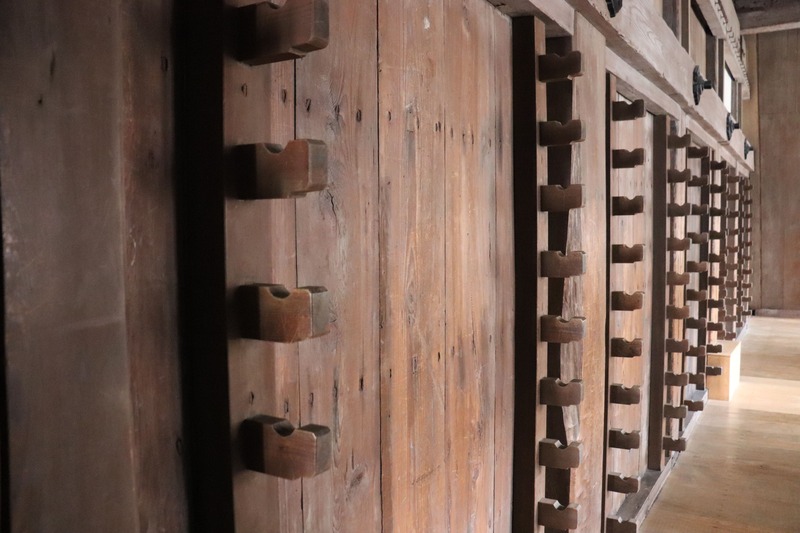 Aburakabe Wall: made by Hideyoshi. A cross?! Probably because the Kuroda clan, specifically Kuroda Kanbei, was a Christian. 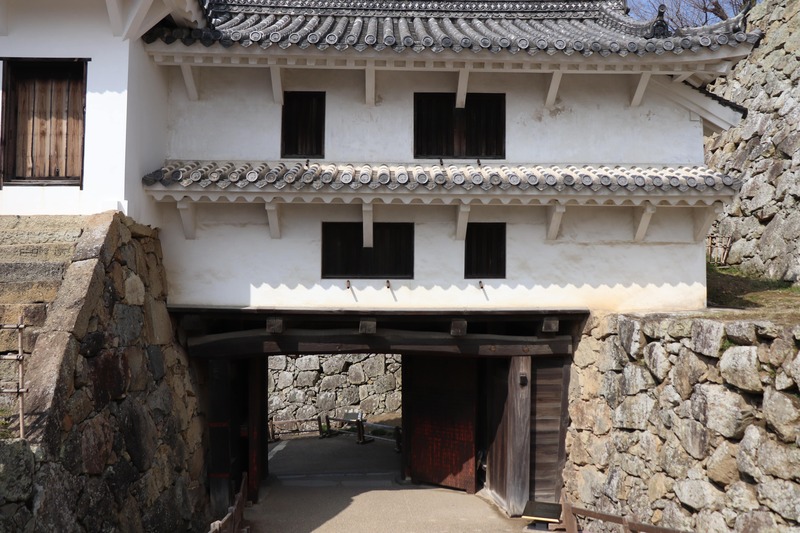 After Aburakabe Wall, you will enter the main keep! Luckily, you can take a photos inside the castle! Sink: there is a sink on the basement floor. 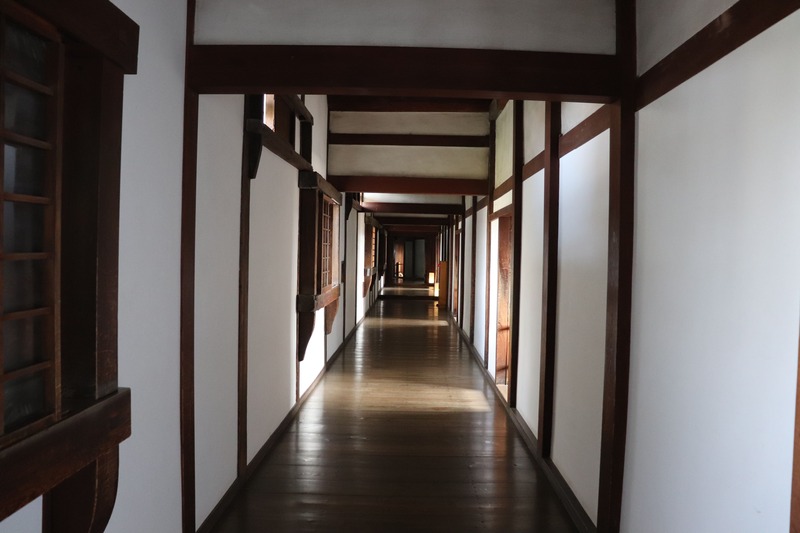 Maybe war lords used to live here in the Edo Period. Once you reach the top floor, you can get a nice view of Himeji City. Osakabe Shrine: The guardian god of Himeji Castle. You can see the roof tiles clearly at the top of the castle. 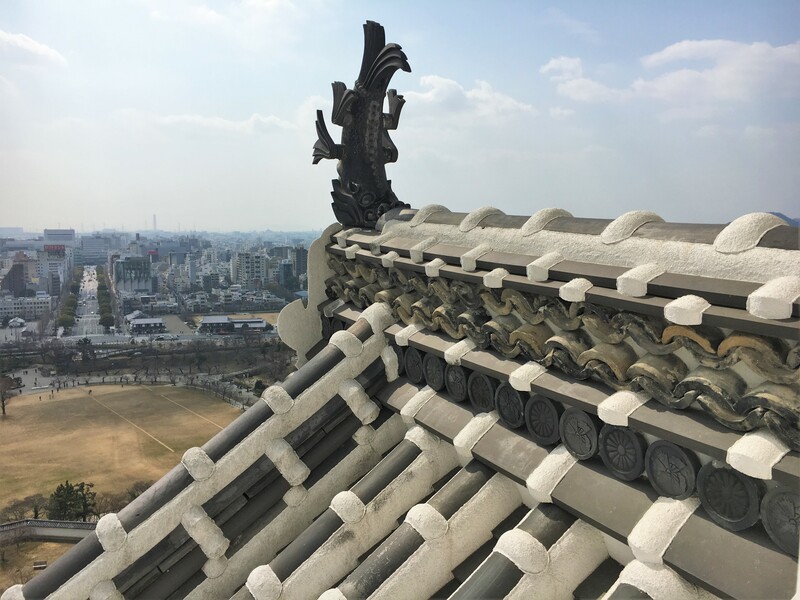 The roof tiles are combined with white plaster, which is what gives Himeji Castle its white appearance. It takes long time to plaster all the joints of the tiles but once it is done, it is strong. As you head down from the main keep, you will take a different route from when you go up. Again, there are several things you should pay attentionto on your way out! 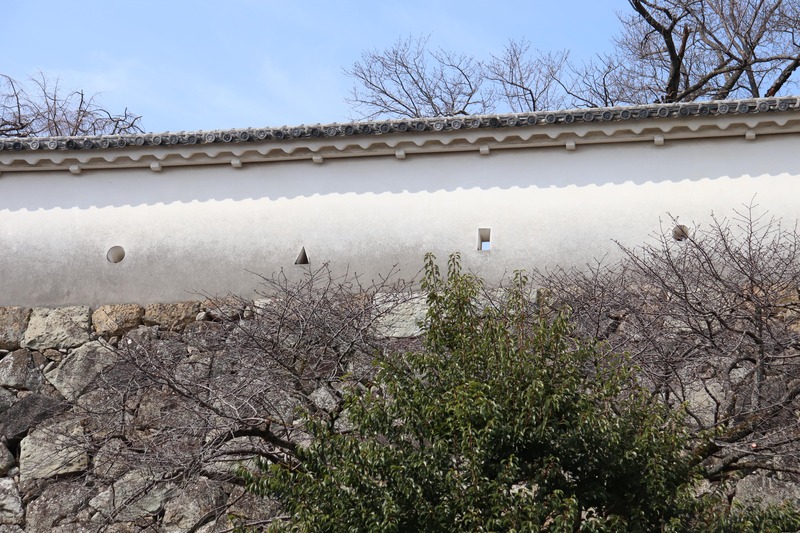 Musha Gakushi: soldiers could hide inside here to ambush intruders or maybe even carry out an assassination? Nu no Mon: it is rare to see a turret with two floors. Ru no Mon: Secret exit of the castle. This castle is like a maze! 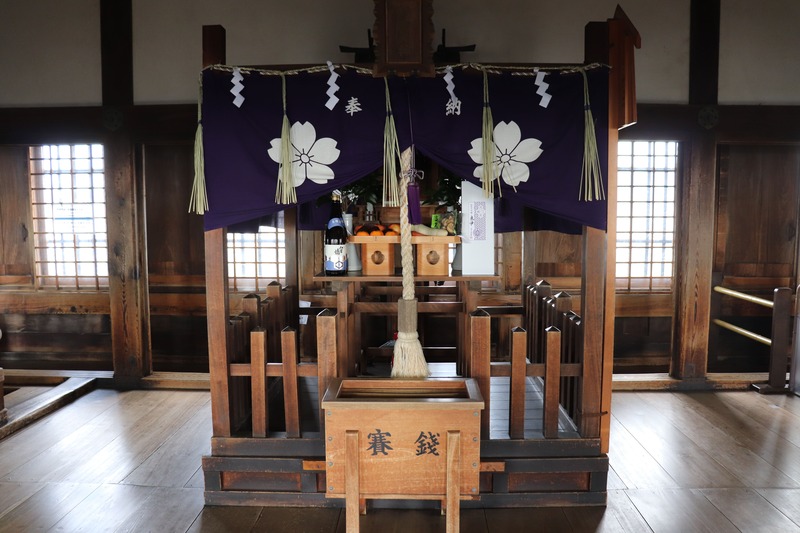 Nishi no Maru, literally meaning “west bailey”, was built 10 years after the main keep with the money from the dowry of Ieyasu’s grand-daughter, Senhime, who married the warlord of Himeji Castle. 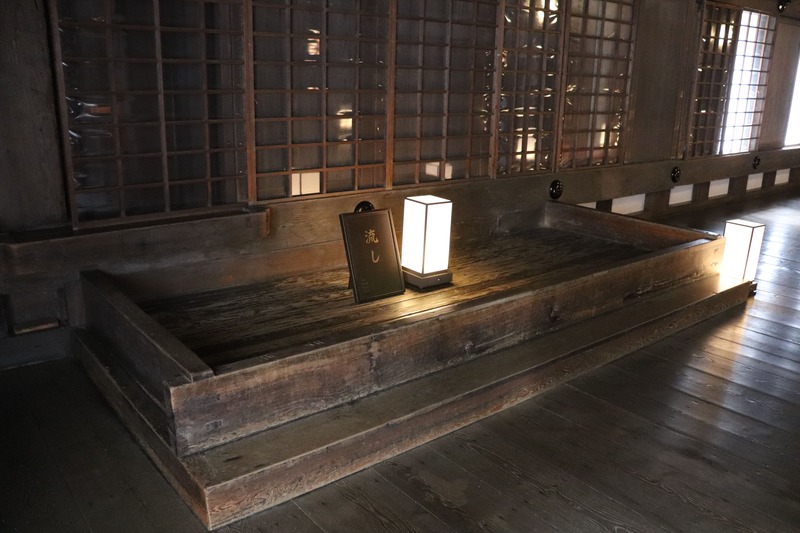 Inside Nishi no Maru is Hyakken Roka and it seems many ladies of the court once lived here. 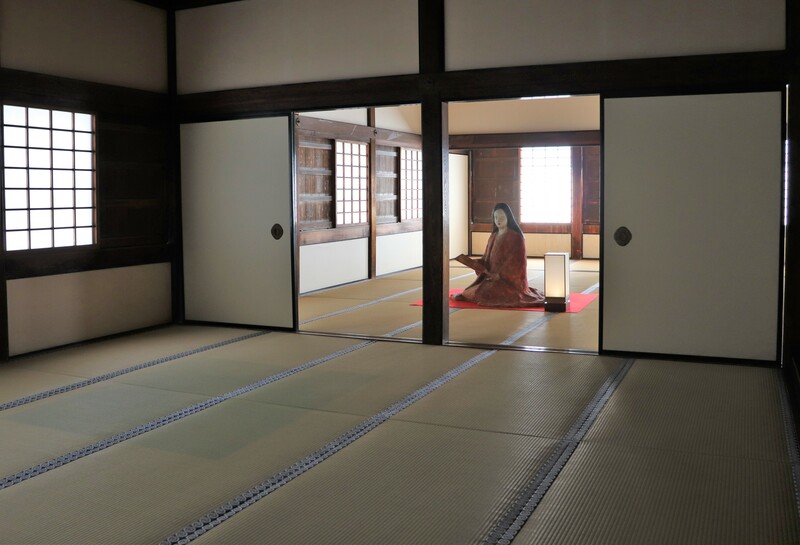 Figure of Senhime, the granddaughter of Tokugawa Ieyasu- so creepy! 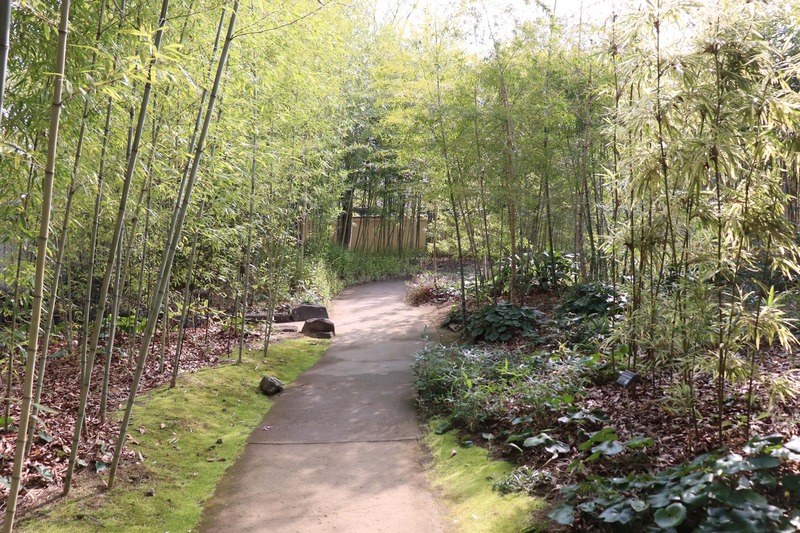 If you have some extra time after you visit the castle, take a walk to the nearby Japanese garden, Kokoen. 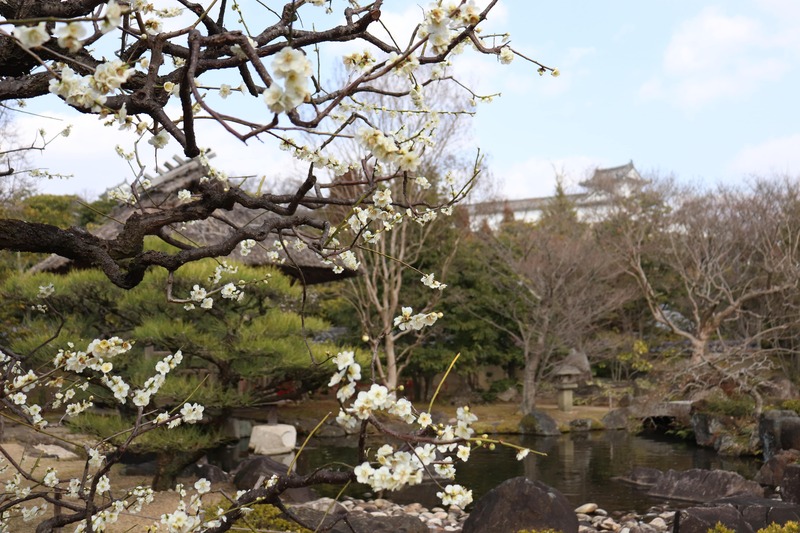 Opened in 1992 to commemorate the 100 year anniversary of Himeji City, the garden is right next to the castle. 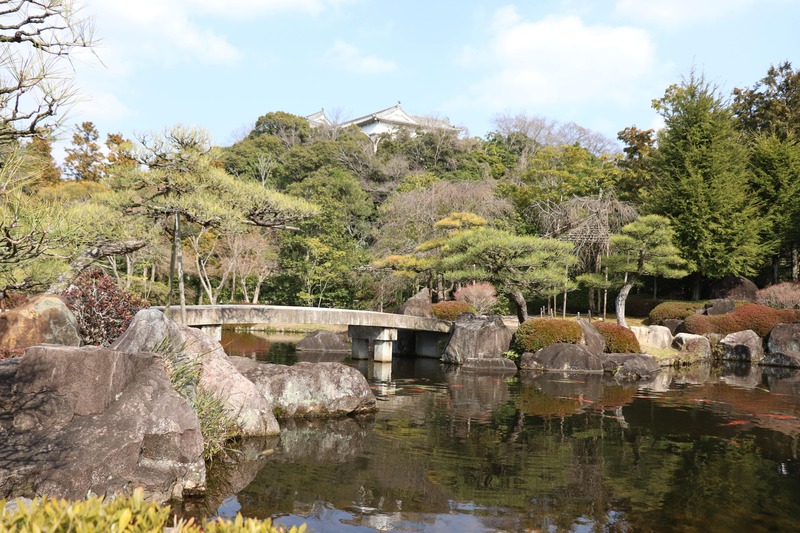 It is sad that there is no place you can clearly see the keep of Himeji Castle from the garden. 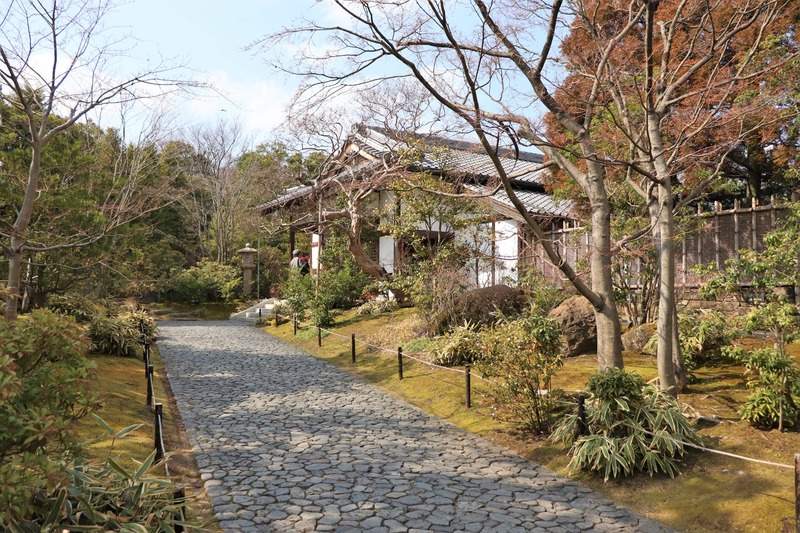 The entrance of the garden is 300 yen but if you purchase a combined ticket of Himeji Castle and Kokoen, the entrance fee is only another 40 yen . 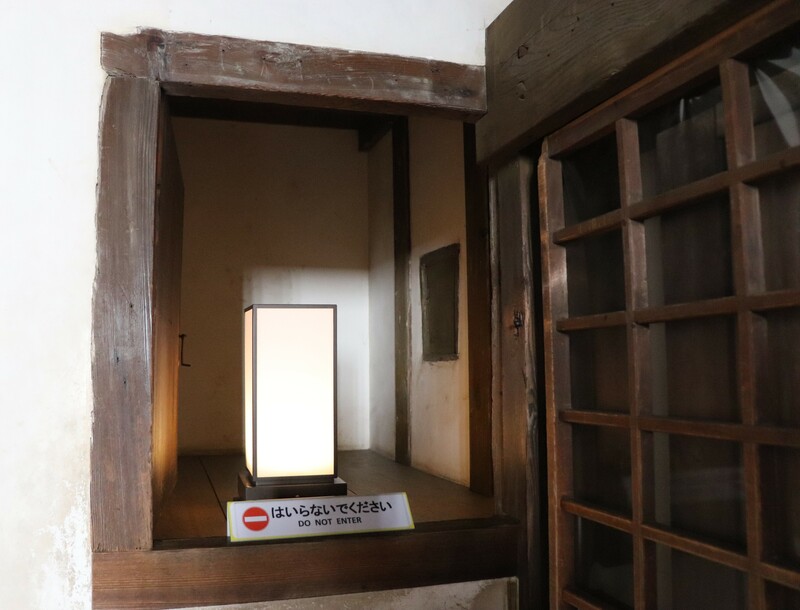 So, make sure to get combined ticket when you go in Himeji Castle!